Catch world-class sandcastle sculptors in action! 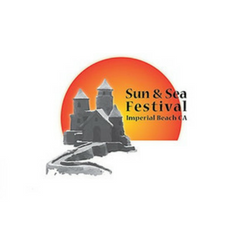 Visit Pier Plaza on July 13 – 14, 2018 for Imperial Beach Sun and Sea Festival. Be part of a community parade and pancake breakfast as well as live music, children’s craft activities and many more! Attendees will have the opportunity to sample a variety of foods at the Certified Farmer’s Market and International Food Fair from 10 a.m. to 5 p.m. at Portwood Pier Plaza and along Seacoast Drive. In addition, many of the restaurants in Imperial Beach will be offering special menus and discounts for the day. The event will also feature a stage with musical entertainment and children’s activities and crafts throughout the day. Check out sandiego.org for more event details. See you! A permit is required to camp which is available at local stores, or they can be purchased online at:Glamis Permit. Always carry a GPS with you on the dunes. You may be able to see for miles, but coordinating your location on a sand dune is hard to do visually! A fun vacation getaway is just a phone call away. We deliver and can pick you up as well.